Take to the open road in a vehicle that oozes of elegance, by ordering one of our sublime new Vauxhall Cascada cars right here at Motorparks. 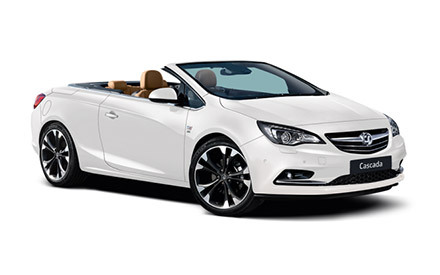 A road trip in the summer will be a relaxed affair once you put down the soft-top roof of the Vauxhall Cascada, with an interior made up of high-quality materials also guaranteeing a comfortable drive. If you want to feel the thrill behind the wheel, rest assured that the new Vauxhall Cascada also offers you exceptional driving dynamics for an exhilarating ride. So what are you waiting for? Browse through all of our new Vauxhall Cascada cars for sale below and make an enquiry about the vehicle you would love to see on your driveway online today. Don’t forget that Motorparks also stocks used Vauxhall Cascada cars, including some models which have only recently rolled off the production line.